“It’s for the kids,” Derrick Harris explains to ChristianMusic. The same goes for his engaging music video, “Oh Bananas.” But, clearly, as the Bitter Enders would attest, it’s more than that. 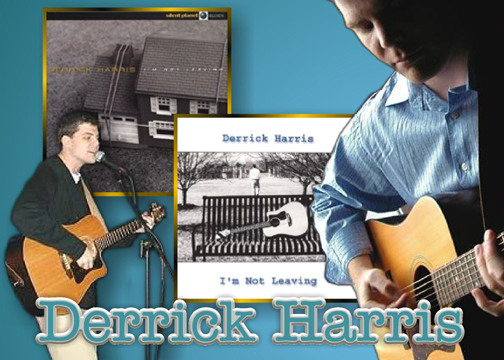 Derrick has devoted his life to youth, ministry, and music – often all three at once. At Auburn University, while studying psychology, Derrick put his talents to use with the Christian group, RUF, Reformed University Fellowship, performing on their Praise CD. After graduating, he returned to Birmingham, where he would eventually land the job he desired, performing with Student Stampede, a senior-high outreach group of Briarwood Presbyterian Church. He also signed with Silent Planet Records, where he performed a cover of “Don’t Worry Baby” for their tribute album to Brian Wilson, “Making God Smile,” as well as his major debut album, “I’m Not Leaving.” While working on his second album, “3 On The Left,” he hooked up with a manager out of Nashville. The very next day, Derrick got his answer. A friend came up to him and told him about not one but two people’s lives his ministry and his music had turned around. McLean Presbyterian Church would be a challenge for a youth director, Derrick explains. This was different from the heart of the Bible belt, where youth groups were more central to community life. In four years, Derrick has completely rebuilt the church’s Youth Ministry.